Photoshop has existed for iOS in the form of Photoshop Express, Sketch, and Mix. Now, Adobe is finally stepping up to what we have been expecting from the company for a long time. 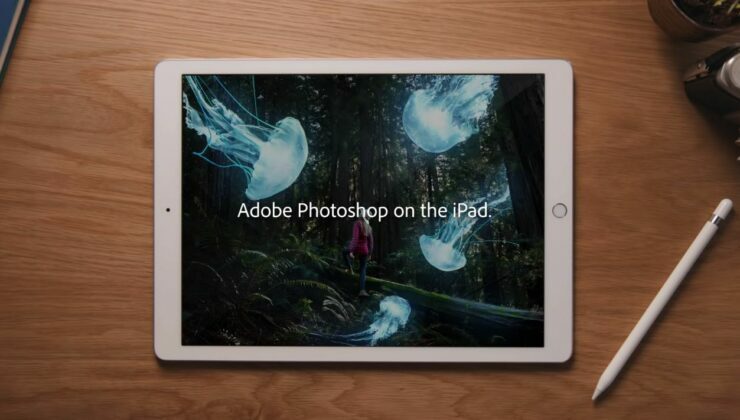 That’s right, Adobe is finally gearing up to release a full-fledged version of Photoshop for the iPad. However, the company will not be releasing the app right away. Instead, the launch window is expected to open sometime in 2019. Let’s dive in to see some more details on Adobe previewing Photoshop CC on the iPad. With PhotoshopCC on your iPad, you will be able to accomplish desktop class editing on the go. What this means is that you will be able to edit the full PSD files right on your iPad Pro. Moreover, you can apply the same effects and filters as you would do on a desktop. In addition to this, you will also be able to continue working on your desktop app from the iPad via the new Could Sync feature. According to Adobe, Photoshop CC features the same codebase as that of its desktop counterpart. This ensures that the performance remains the same on both platforms. Additionally, the PSD files you edit on your desktop can be brought forward and further manipulated on your iPad as well. Check out the video for more details. Needless to say, there are several key differences in the Photoshop CC for iPad when compared to its desktop version. Mainly, the user experience has been redesigned to compliment touch controls. This will also provide a more natural user experience. With Photoshop on an iPad, designers and photographers no longer need to be tethered to their desktops. Instead, you can do real work that is powerful, quick, and transformative right on the iPad either as a companion to your desktop, or away. Plus, you can take advantage of the tactile-pencil-and-touch environment to work directly on the canvas using the world’s most powerful creative application, Photoshop. At this point in time, Adobe has only previewed Photoshop for iPad and version 1.0 will be available to users sometime in the near future. It is possible that Adobe will roll out features gradually via software update. Nonetheless, we’re still glad that it will happen soon. There will be more to the story, so be sure to stay tuned in for more details on the Photoshop CC availability for the iPad next year. Share your views on the matter.